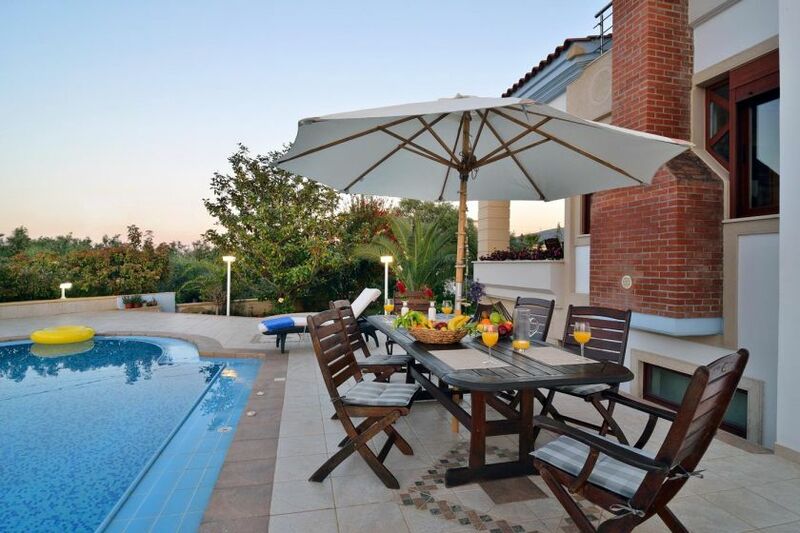 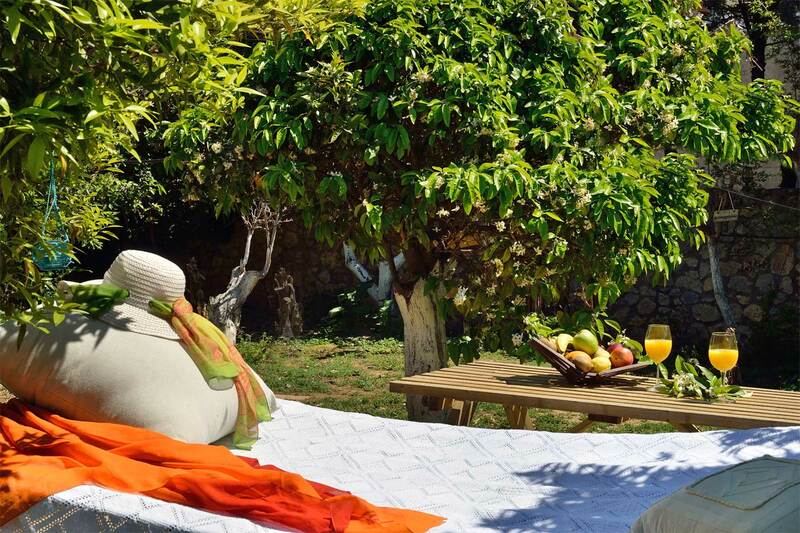 Villa Niki is a luxury 3-bedroom villa with three bathrooms and a private pool, located in the small tranquil town of Perivolia, 4 km away from the center of Chania and a few minutes walk away from the bus station, a traditional restaurant, a super market and a pharmacy shop. 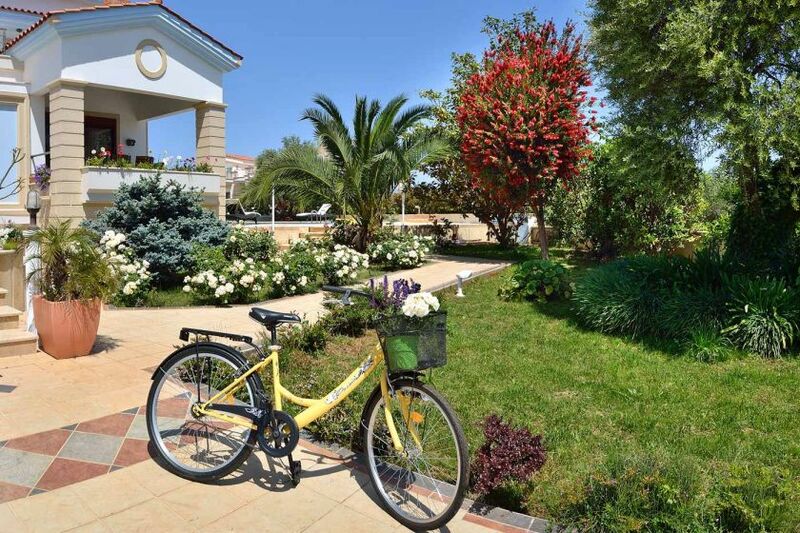 Within a few minutes drive you can find supermarkets, restaurants, patisseries and the lovely, sandy beach of Chrissi Akti. 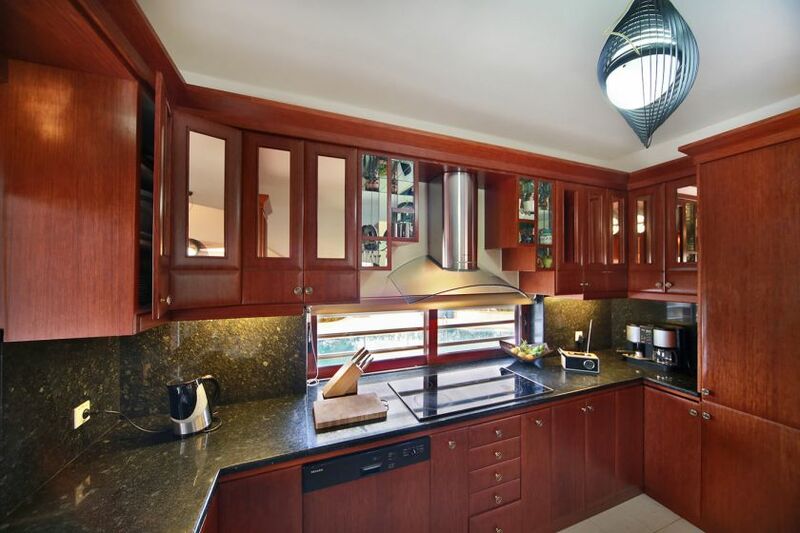 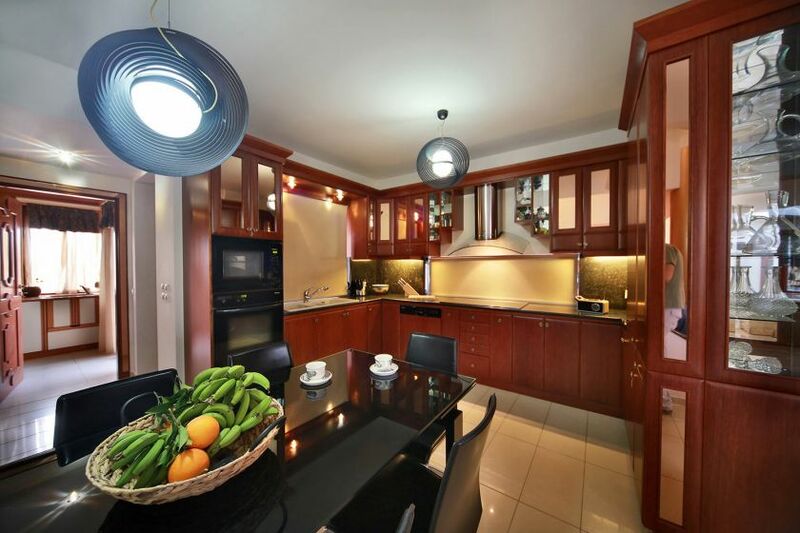 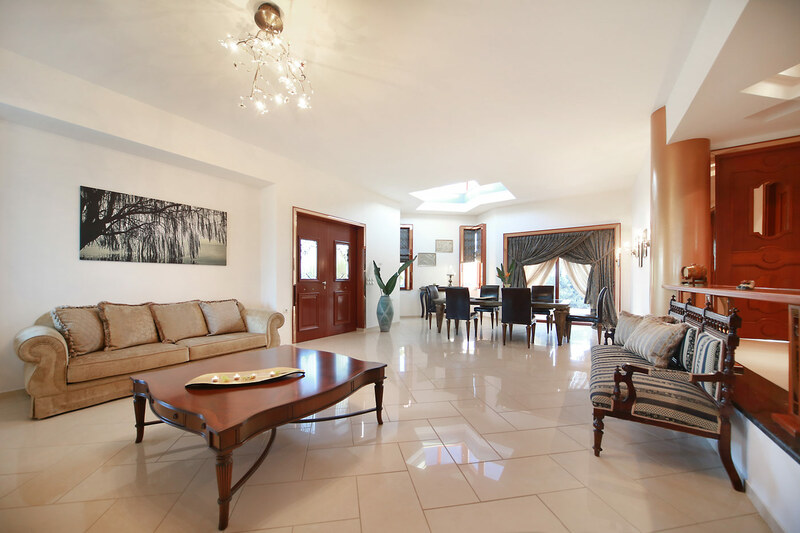 A spacious open plan living room area with a fireplace and a dining area, and a modern, fully-equipped kitchen with a microwave, an oven, a refrigerator-freezer, a washing machine, a dishwasher and a kitchen table are provided on the ground floor. 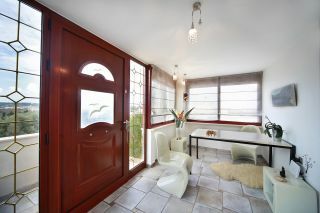 A garden view balcony with a dining table is also offered. 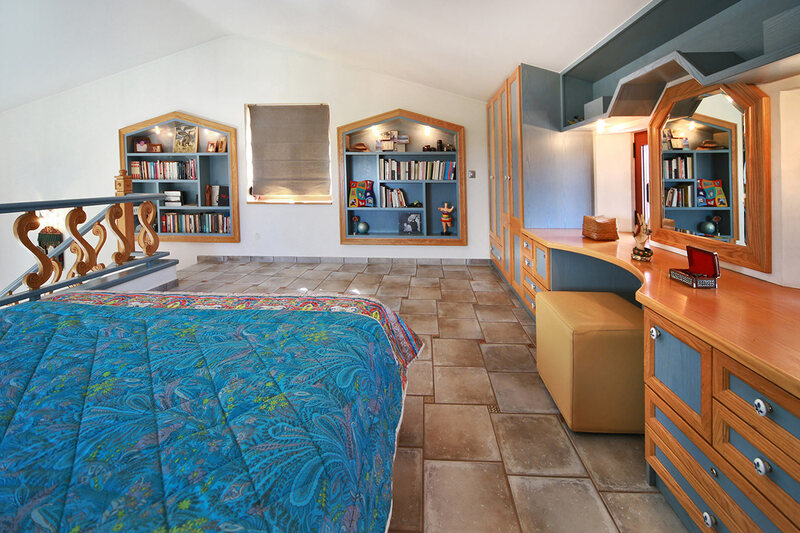 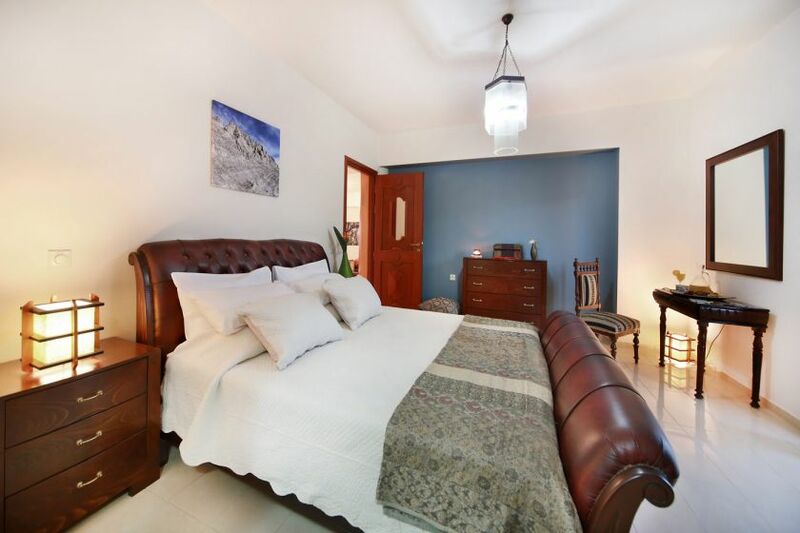 The master bedroom with a double bed, a wardrobe room and a large en-suite bathroom with a hydro massage bathtub, and another bedroom with a double bed are also provided on the ground floor. 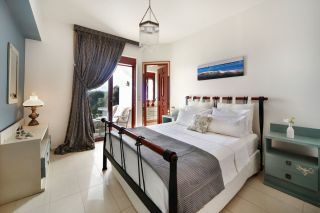 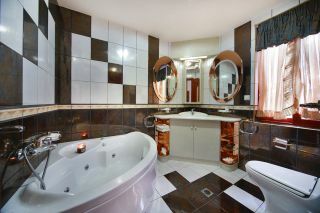 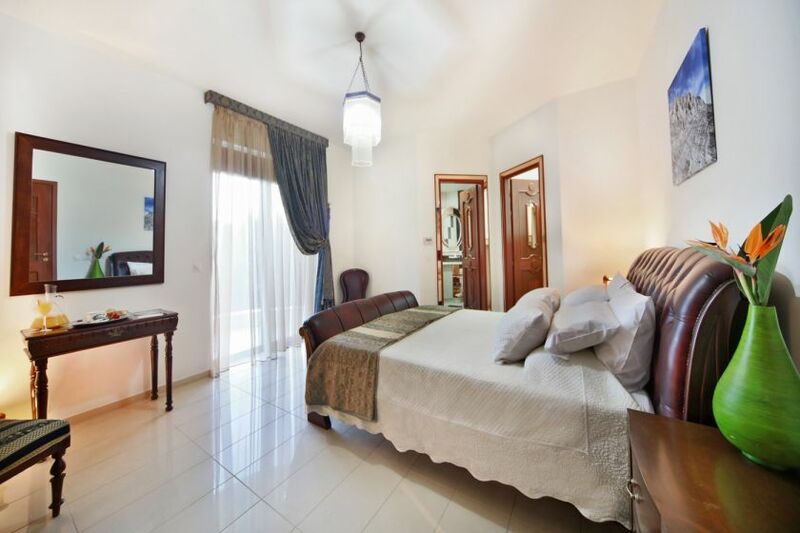 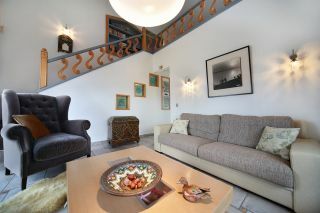 Both bedrooms have large balconies with beautiful pool and garden views. 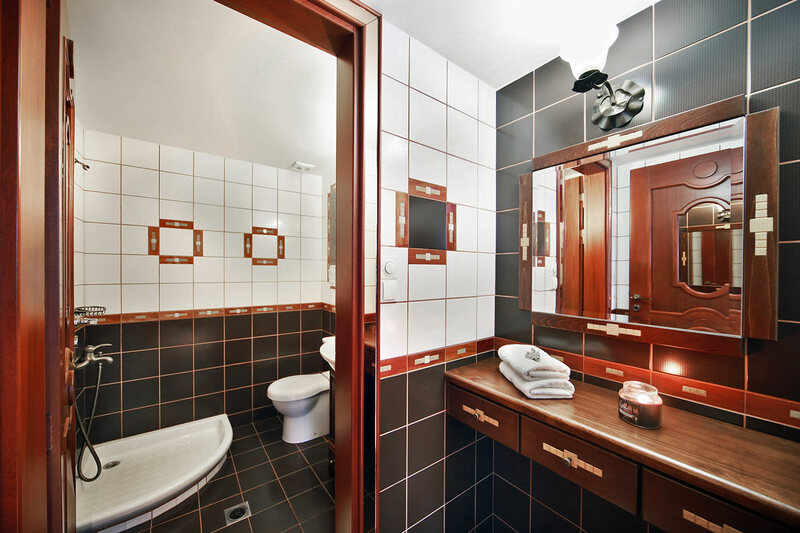 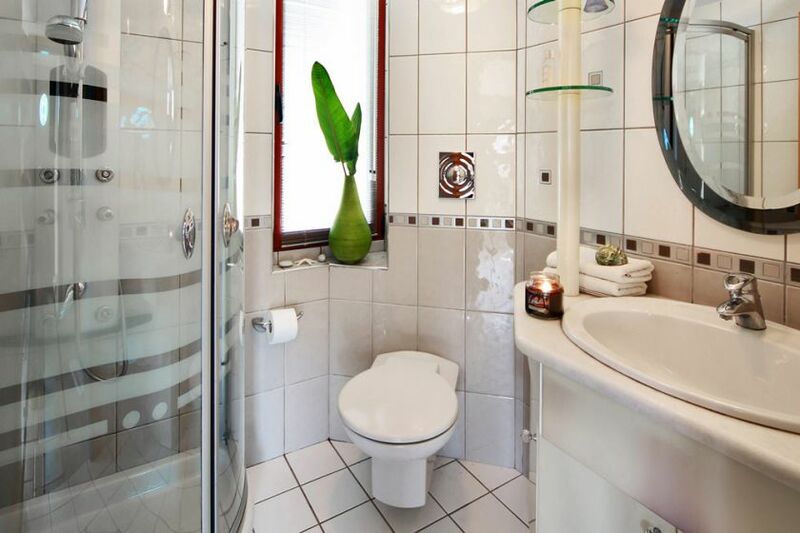 A second common shower bathroom is also available. 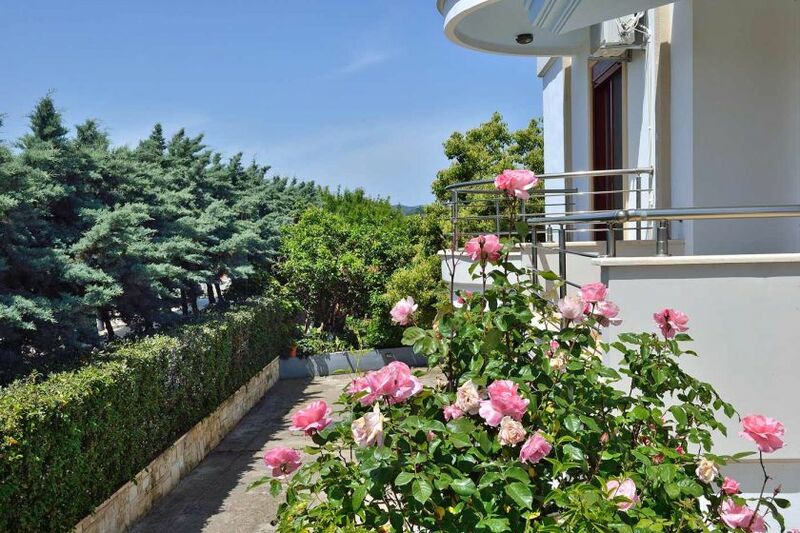 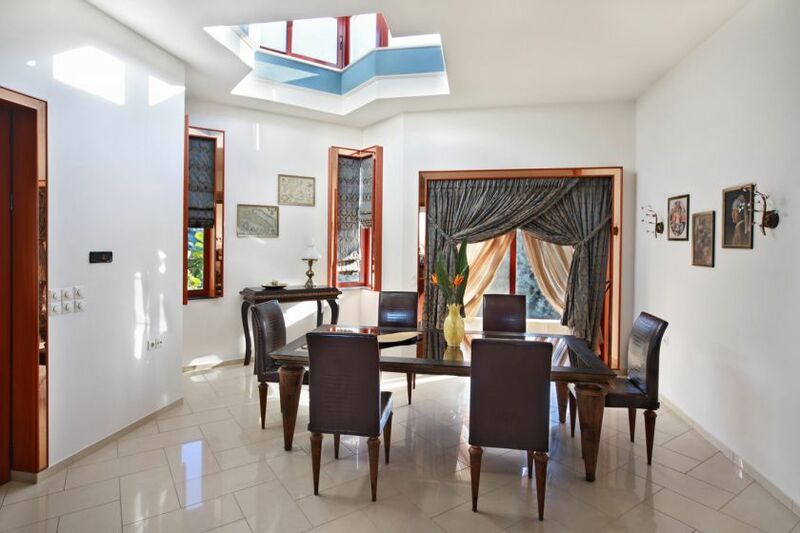 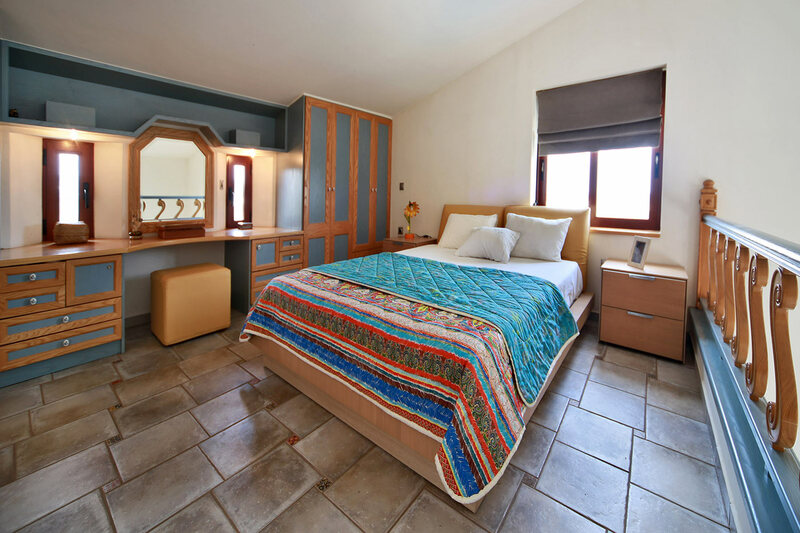 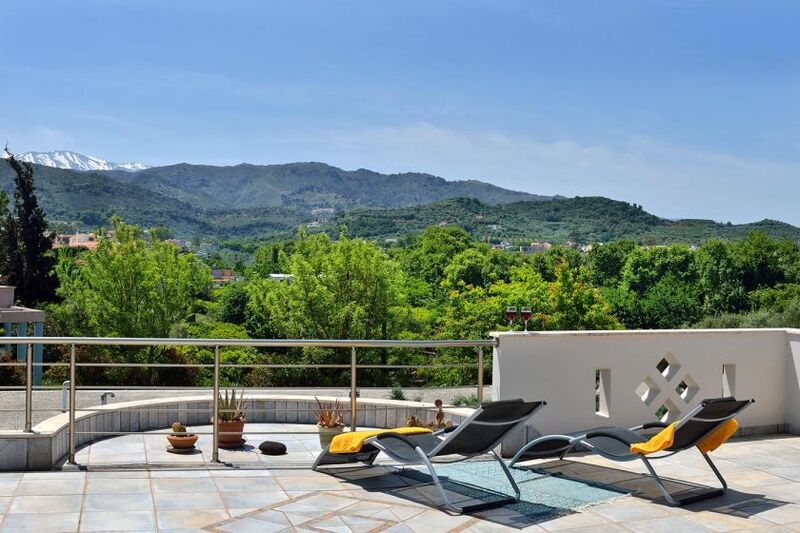 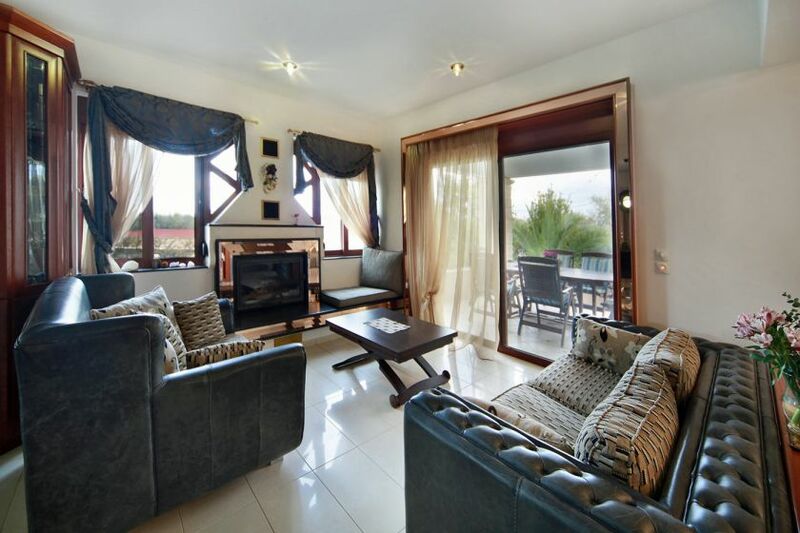 The beautiful middle floor of the villa has a cozy living room area, a second kitchen with ceramic hob and microwave, an elegant office, and a huge terrace with lovely views of the colorful garden, the olive trees, the White Mountains and Chania. 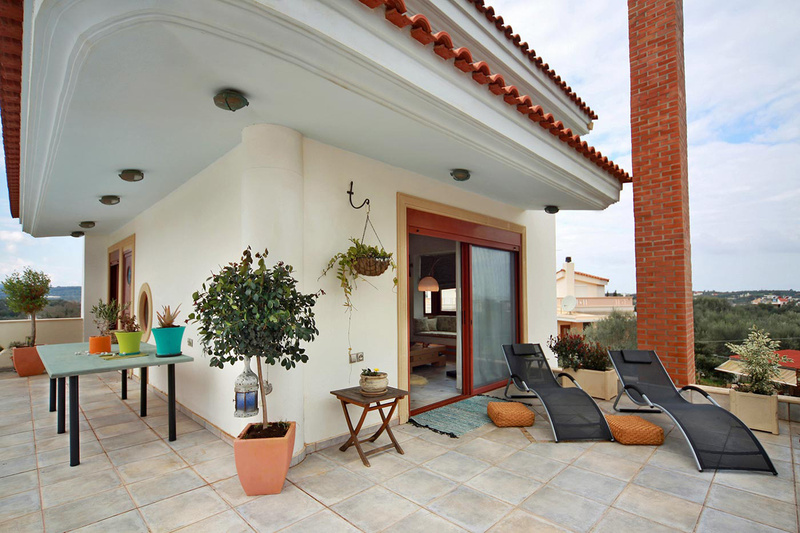 An external staircase leads from the terrace directly to the pool area. 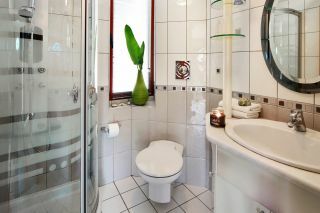 A third shower bathroom is also provided. 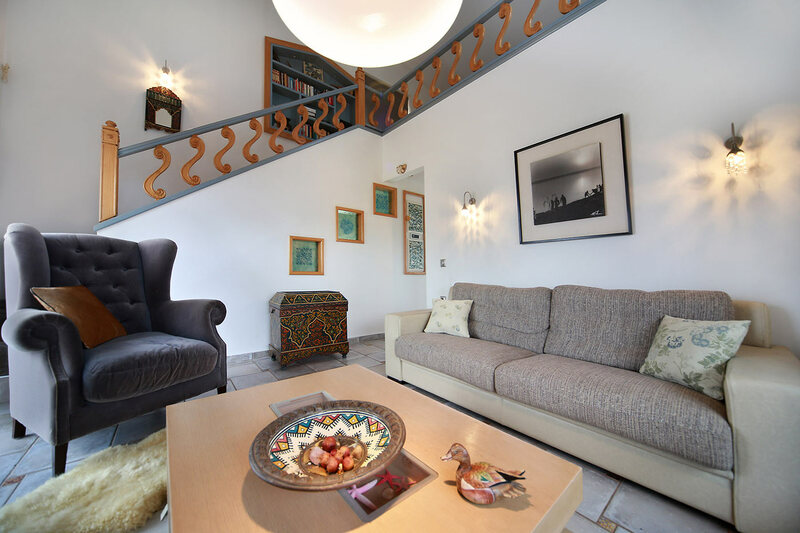 From the middle floor a staircase leads on the top floor, which is consisted of a living room area with a small kitchenette and a loft with a double bed, a wardrobe and a bookcase. 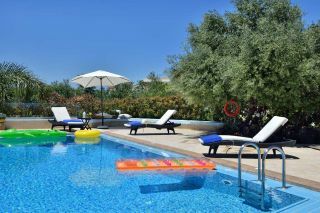 A private pool of 45 sq m with hydro massage, sun loungers and umbrellas and an outdoor dining table is provided. A beautiful garden with all kinds of flower, herbs and trees such as apple trees, orange trees, pomegranate trees, and banana trees is offered. 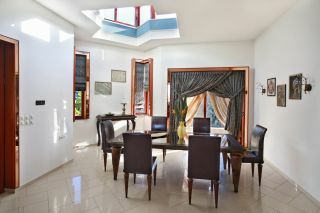 Three large indoor garage spaces are also available. 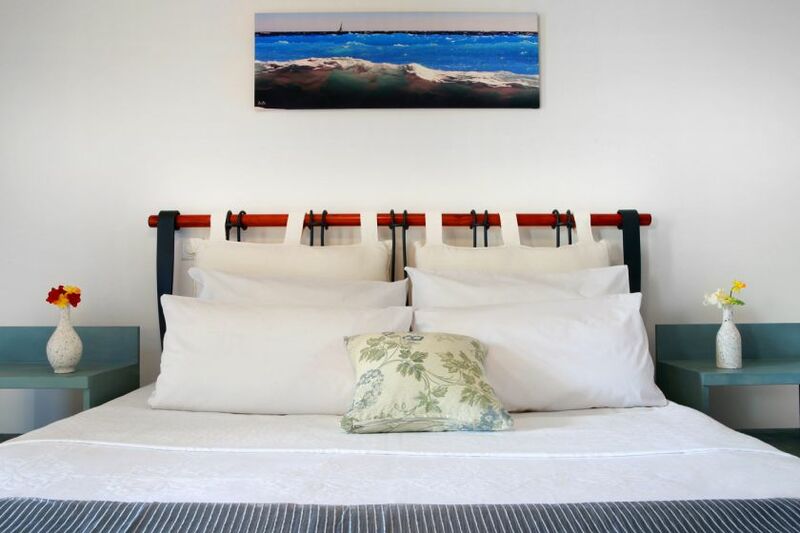 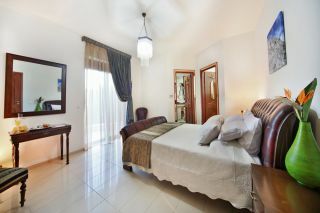 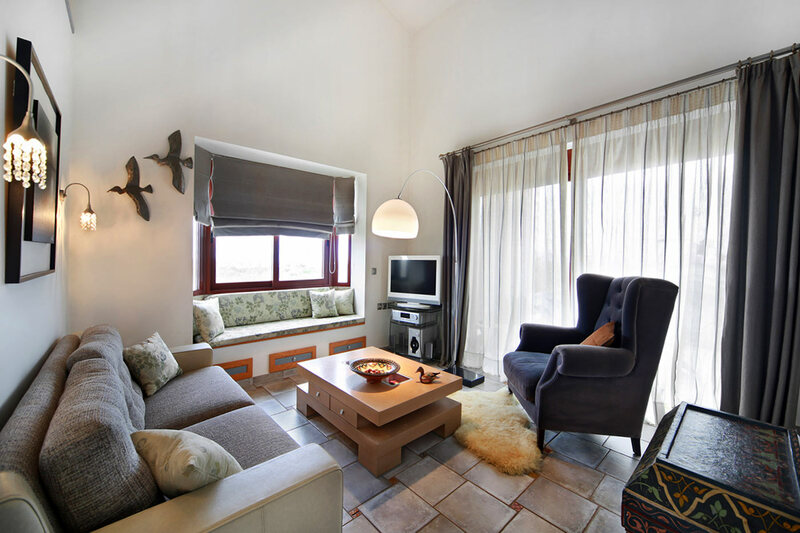 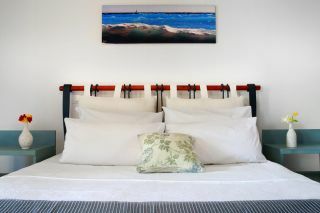 Air-condition is provided in each bedroom and floor heating is offered for guests with stay during winter. Please note that the kind owner lives in the semi-basement of the Villa, with a separate entrance from the back of the plot. 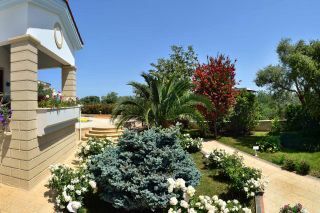 Villa Niki was just incredible. 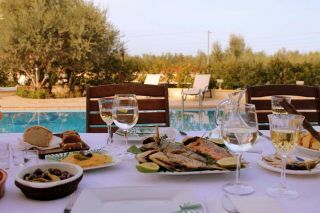 We had the most relaxing time in Crete, we just wish we were still be there now! The host was very accommodating and helpful. 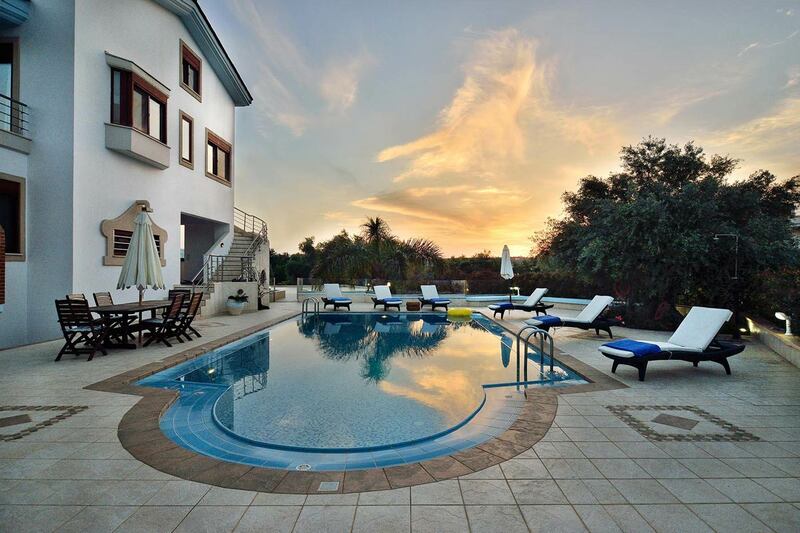 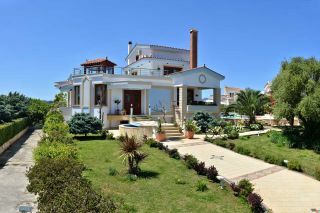 The Villa is huge and has the best swimming pool you will find - our kids didn't want to go anywhere else but the pool. You need a car, but everything is really close - 5 min to the old town and another 5 min along the coast to other eateries. Highly recommend choosing Villa Nikis. 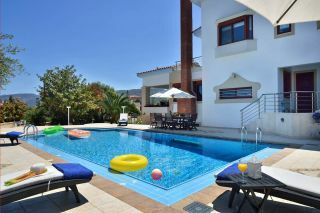 TheHotel.gr team were amazingly helpful for our Holiday. We changed locations quite late but Yannis and the team were incredibly helpful in making the necessary changes to support our holiday. 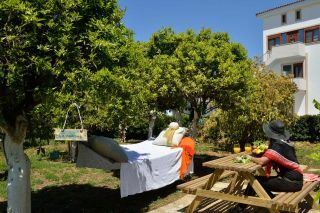 We had such an amazing time and it was made better by the professionalism and caring nature of the team at TheHotel.gr. We would have no hesitation in recommending TheHotel.gr for your holidays within Crete, and taking comfort in knowing that you will be very well looked after! 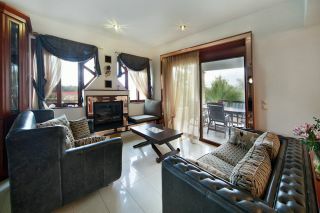 Wonderful spacious house, great swimming pool, very friendly owner. 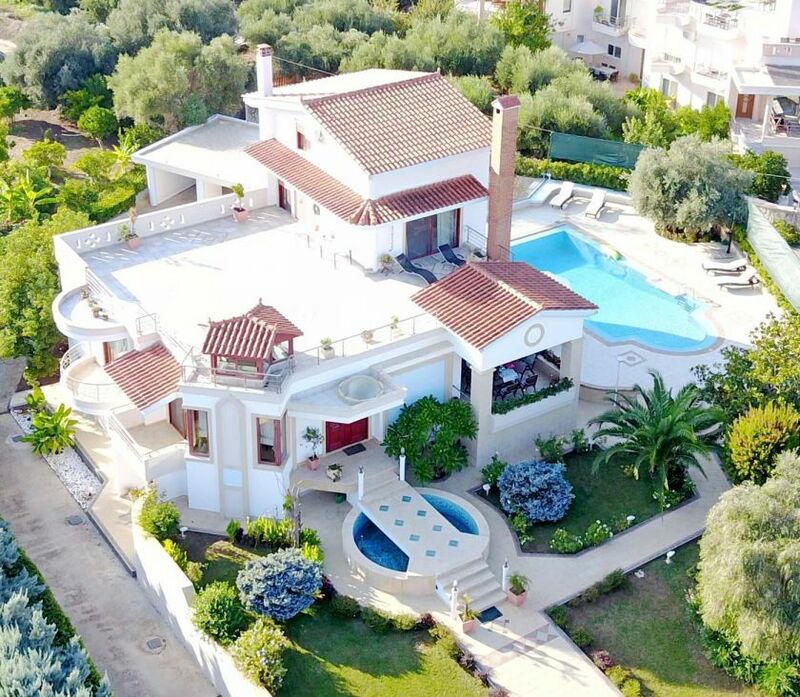 I can recommend this house to everybody.